Today is a special day as the National Parks Board (NParks) is having her annual Volunteers Appreciation Day this morning at Hort Park. This event was also organised in celebration of International Volunteer Day, which fell on 5 December. Some of the volunteers from the Naked Hermit Crabs spent this special day sharing the beauty of Chek Jawa to our visitors while some others attended the appreciation event. Read about the happenings at Chek Jawa here. I was unable to attend the event today as I was guiding at Chek Jawa. However there are news reports from the media and National Development Minister Khaw Boon Wan posted an entry in his work blog. I am one of the 3 volunteers to featured in Minister's blog post and I quote a portion of his entry. 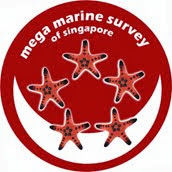 "Ms Heng Pei Yan – a teacher– participated in the Comprehensive Marine Biodiversity Survey early this year. Despite the risk of getting stung by marine organisms and having to trudge through knee-deep mud, she was undeterred and gamely participated in the survey simply because of her passion for nature." 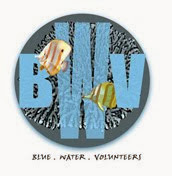 You can find out about how you can be a volunteer with NParks through their volunteer webpage.